I started with my usual XXL nail protector from Essence, and topped it with two layers of 020 Cotton Candy At Eiffel Tower, a light creamy color from the Ultimate Nudes collection by Catrice. 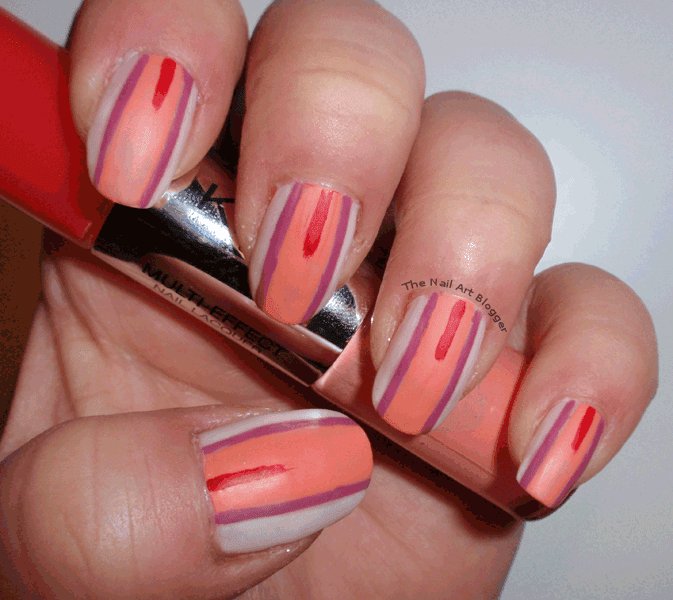 After letting the nail polish dry completely, I started the striping process. 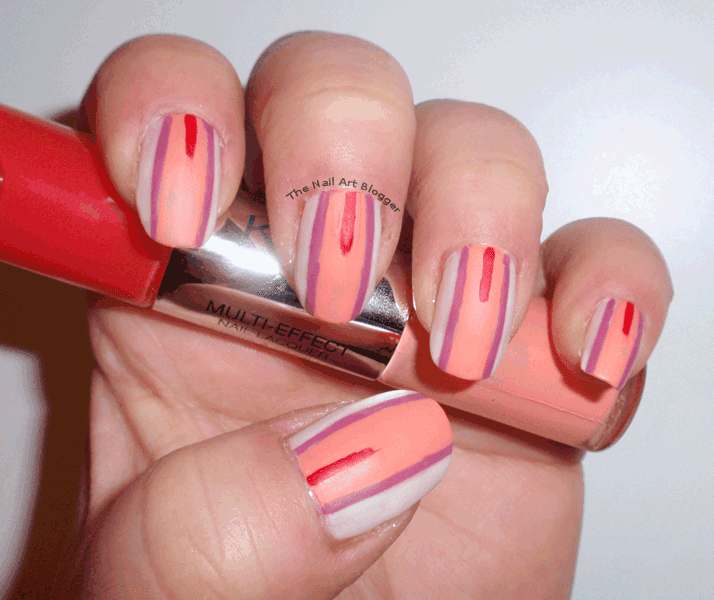 First I placed two striping tapes along the nail, and painted the area in-between using the full color part of the 04 Papaya & Watermelon from the Multi-Effect nail lacquer collection by Kiko. After removing the striping tapes, I placed a new set a bit further than the peachy color, and using a striping brush I colored it in with the 48 meet me now! from Essence Color & Go. I haven't used that color for a long time. It was nice putting it to work again! And in the end, using the striping brush (after cleaning it, of course), I added the red line in the middle using the red in 06 Red & Mandarin from the Multi-Effect nail lacquer collection by Kiko. 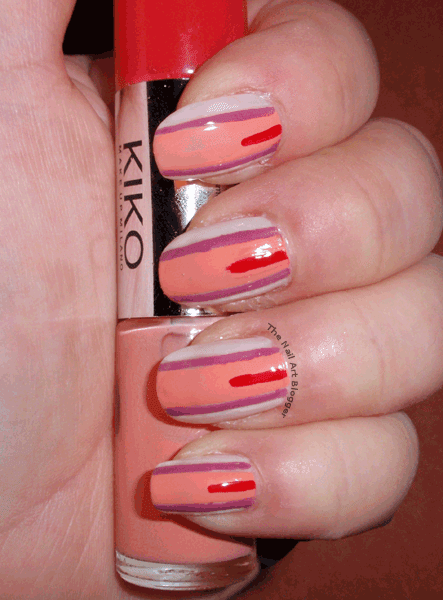 In the end I added the 3-in-1 mat top coat from Kiko to match the matte of the dress itself. What I find quite amusing, is while the peachy color shows just as that in the photos, on my hands it looks a bit like a neon pink. There are a couple more designs from Tommy Hilfiger's Spring 2014 collection that gave me some ideas for nail art. I will be making those in the upcoming days. Do you take inspiration from fashion shows?